Love Live is an incredibly popular anime with incredibly devoted fans. But, you know what, the characters kind of all look the same. 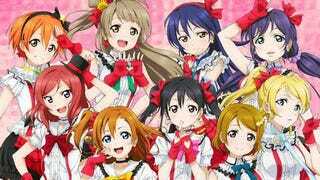 Here, you can see the Love Live’s Muse unit characters in their frilly outfits and with their different colored eyes and hair. Granted, this isn’t the first anime to seemingly recycle faces over and over again... And it won’t be the last! Though, drawing the hairstyles does seem hard.